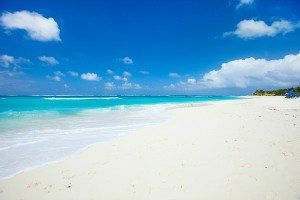 Anguilla is a British Overseas Territory, 16 miles long and 3 miles at her widest point. Boasting 33 white sand beaches with crystal clear waters, a contemporary international style, and extraordinary vistas, Anguilla may be the highlight of your yacht charter cruise after you drop anchor to explore this idyllic tropical island. Visit art galleries, tour historic sites and museums, go horseback riding, dance to island beats, snorkel, or simply bask in the sun and enjoy quiet sunset strolls. The pinnacle of gastronomic delights include over 70 dining experiences presented by a cadre of world renowned international and award-winning local chefs. For pampering, resorts and independent spas offer the latest in spa and wellness facilities, services and treatments. Contact Northrop and Johnson Yacht Charters today for more information!